My entire childhood was spent growing up with Piglet and Pooh, so when Disney decided to bring to life Christopher Robin you can bet your bottom dollar I'd be taking a trip to see it! Okay so I took my niece who is 11 to cover my inner childish needs but thats by the by! I couldn't wait to go and see it, Winnie the Pooh is a children's classic character first bought to life in books by author A.A.Milne way back in 1928. Milne named Winnie The Pooh after a bear that his son, Christopher Robin Milne owned at the time, his son would also go on to be the name behind Pooh's aptly named friend Christoper Robin. 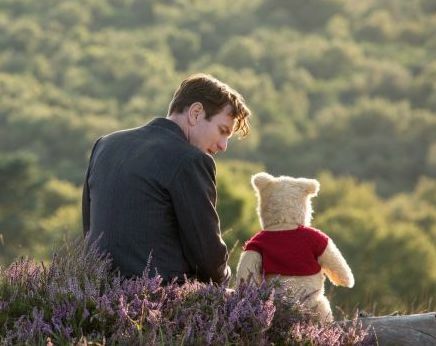 The 2018 film release sees Ewan McGregor play a grown up version of Christopher Robin, struggling at work and forgetting whats really important in life, Family. In steps Pooh, to remind him of just what it was like to be a child and why its important to live a little, use your imagination and have some fun. Strangely when I think back to watching the film, my favourite scene is actually quite insignificant to the film but its the part I remember most. Pooh and Christopher are taking a train journey to find his friends in the hundred acre wood, Pooh who has to entertain himself, decides to play a game looking out of the window called 'Say what you See'. Reading aloud what he sees, Christopher goes on to scold him for being loud and asks him to be quieter, so pooh returns to looking out the window and whispers his answers instead. As I said its insignificant but heart-warming and funny in that, the next journey Christopher takes he too finds himself playing the game. Since watching the film, I too have found myself playing the game with my family, it is very warming. There are parts to the film which are touching and if anyone has previously watched Petes Dragon and the part where he thinks Pete doesn't need him anymore will know what I mean. With Winnie the Pooh, Piglet, Tigger, Eeyore, Rabbit, Roo, Kanga and owl, A.A.Milne and E H Shepard (illustrator) managed to create a family of friends for any child back in the day or here in the present and I don't think they'll ever be replaced. Marc Forster (director) was able to bring the characters to life in a fun and heart warming way too for all the family. This review contains spoilers that reveal the ending. 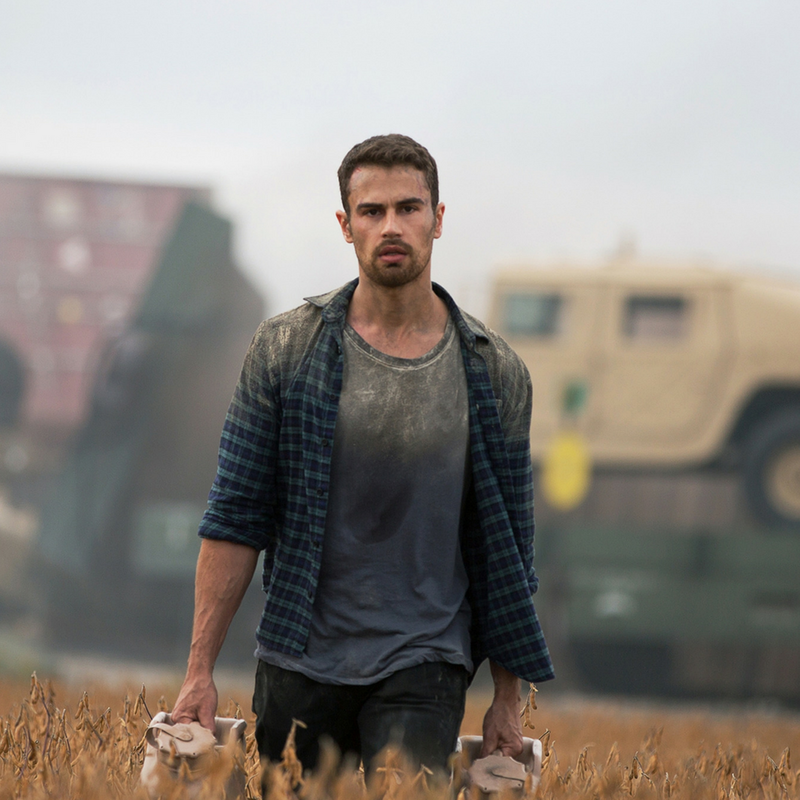 How It Ends - Netflix UK's latest original movie, sees a cast including Will (Theo James - Divergent) & Tom (Forest Whittaker - The Last King of Scotland) forced to work together to survive a road trip following a mysterious apocalyptic event. As is the case with Netflix I received an email about this films release before I actually saw it on the App, and having seen Theo's performance in Divergent, thought it must be the worth the watch. My expectations for this were that it would be fairly action packed from the storyline and possibly filled with unrealistic realities. The opening scenes show us Will (Theo) and girlfriend, Sam (Kat Graham) at a baby scan finding out there due to have a Boy. Shortly after will attends a business meeting in Chicago leaving Sam back in Seattle. Whilst there Will visits Sam's parents and its apparent that there is no love lost between the two men, and an argument ensues. When Will calls Sam from the airport the following day, interference breaks up their phone call and Sam says something isn't right. What follows from there on in is an exceptionally long and drawn out road trip including Will and Sam's dad, Tom (Whittaker) trying to get back to her. Its clear from the beginning that the two men don't see eye to eye, although the reason isn't revealed until later on (Whittaker believed that Theo sank his boat). The film gets rather repetitive with the pair searching for fuel, running afoul of thieves and making what was to be believed an ally in Ricki (Grace Dove), a local mechanic, who in actual fact just disappears half way through the movie never to be seen again? What actually happened? What was the mysterious noise? What took out all the power? Did they get away? I mean come on Netflix, you can do better than that! I expected more from this film given its cast and storyline but it just fell flat. Its a shame as there was potential to make a really good film here, however it just didn't happen and left me disappointed. If I was to be completely honest, which is what Frank Avenue is all about, I wouldn't recommend this film to a friend. Having read other reviews on various websites it doesn't sound like I'm alone. Let me know in the comments below if you've watched it and what your thoughts were? Were you sitting there throwing your hands in the air asking "What did I just watch?"